Constant Content. This company frequently looks for new writers to join to meet the needs of its clients. Writers can also get emailed when clients need writers with specific skills to write for their industry. Domainite (review). Pays weekly, $1.00 per 100 words written. Great Content (review). Pay rate is based on each assignment, ranging between $7.50 and $37.50 for a 500-word assignment. iWriter. One of the most popular content mills, iWriter lets clients rate freelancers for their work. Higher levels give you access to higher-paying opportunities. Online Writing Jobs (review). Pays weekly and pay rate is based on your topic expertise, complexity of the article, length of the article, and deadline. Typically pays between $15 and $50 per article. Passive Solutions (review). Pays weekly for work, rates vary between assignments. Usually has a consistent stream of work available and expects writers to commit to writing at least 10 assignments per week. WriterBay. Pays up to $20 per page for articles in a wide range of categories, from finance to world affairs. iFreelance. iFreelance is one of the few marketplaces with no transaction fees for finding and completing work. Instead, you sign up for a monthly plan, which starts as low as $7. Speedlancer. This site is part content mill/part freelance marketplace. You can accept work, but you’ll have to complete it in a specific time limit. Upwork. Upwork has a fee structure based on how long you’ve worked with a client that ranges between 5% and 20% of your earnings. The longer you work with a client, the less fees Upwork charges. Includes payment protection, and payments typically take between 5-7 days to process. Freelancewriting.com. This board is updated daily and the site also contains valuable resources that help freelance writers get started and succeed. JournalismJobs. This board is mostly for journalism jobs, like the name suggests, but some companies do use it to hire freelancers for blogs and other forms of content writing. MediaBistro. MediaBistro has a lot of jobs for experienced writers, but also has some entry-level work. It’s worth bookmarking and checking out. You can also set up alerts for specific job types. SimplyHired. SimplyHired is a job search site similar to Indeed where several freelancers have had luck finding writing work. Work at Home Adventures. Our job board includes a variety of work from home jobs, but also includes freelance writing gigs. Bless This List. Hasn’t been updated in one year and there isn’t any place to actually upload any work. Also, use hashtags in your social media posts, like #freelancewriter or freelance writer for hire, to let people know you’re in business and open for new clients. Setting up your social media accounts to let others know what you do is crucial to your success as a freelancer. One of the key points of a successful freelance writer is that their an authority in the business. You might be an authority figure for the parenting industry, business industry, or finance industry. Whatever it is, your social media accounts should display that. In your Facebook, Twitter, Instagram, and Pinterest profiles, make sure you indicate that you’re a writer in your chosen field. Share content related to whatever industry you’re in to show that you really dig into that field and know your stuff. Then, be sure to set up a LinkedIn profile. LinkedIn is a great way to connect with other freelance writers and your target clients, like content marketers or business owners who might need your help. Stay active on the platform and like, share, and comment on other posts. You can also get involved in Facebook and LinkedIn groups, which are great for sharing tips with others in your industry and getting help along the way. There are a variety of online portfolio services that can help you get a quick portfolio set up for little to no costs. Building up your portfolio is extremely important when you’re starting out as a freelancer and even after you’ve gained experience. Your portfolio is where you’ll send clients to see past samples of your work. If you have no experience or samples you can add to your profile, you can always start with some of your best posts you’ve written for your own blog, or create a few samples of articles, case studies, or other content for fictitious companies. Adding yourself to a freelance writer directory can be a perfect way to let everyone know what you do and that you’re open to opportunities. The more places that help get your name out there, the better. 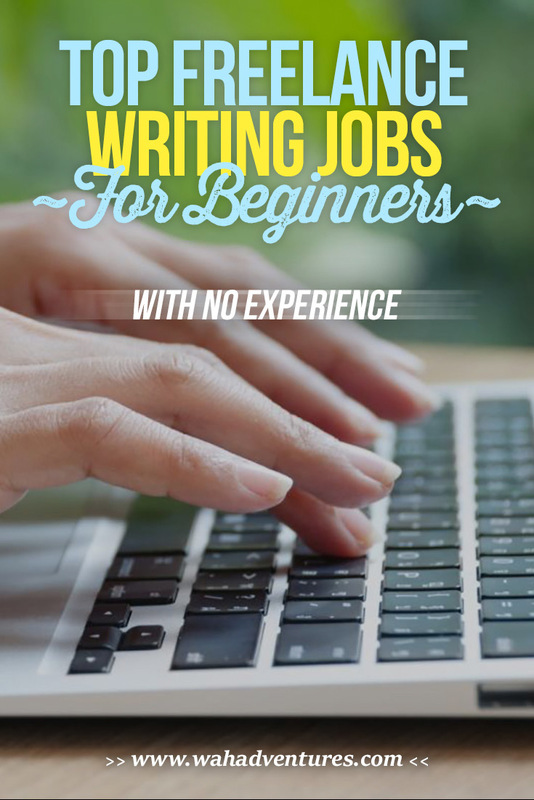 Some clients will go straight to these freelance writer listings to reach out to them directly instead of taking time to post job opportunities and read through hundreds of applications. Some directories may have a fee for getting yourself added, but they’re usually low and worth the cost. If you’re new to freelance writing, I’d love to know: What made you decide to get started and what are you struggling with the most? Awesome information, really appreciate it! Definitely going to start signing up for these sites and try to get some business flowing. Thanks for sharing this. I am also a freelancer–though not as a writer. I agree what you said on scamming clients, I heard many stories about it. It is better to ask for an upfront payment before working with anyone. I just started writing for Zerys recently, and it’s been a good experience so far! (They “hired” me several months ago, but I hadn’t actually gone in and written anything for them until about three weeks ago.) I’m excited to look at these other suggestions. WritersDomain.net is currently hiring. The signup is simple and straightforward and they have plenty of work to be done right now. l will like to know if there is any of these companies can hire a writer outside u.s, especially, a writer from nigeria. Im an international writer too and very good at it. Had some U.S. clients who allowed me to write as a ghost writer on Writersdomain. Please tell me if there’s any such way or good websites to go directly. Feyi, regarding your question, I know that essaywriters.net and freelancercareers.com employ writers from Nigeria and Kenya. And they really offer good terms and compensation. Okay, so everyone seems to pay via PayPal. I have a personal account but have never used it to receive payment. Anything there to know about? Set up a different account for pay? Use alternate e’ddress? Thanks! No, I use my usual email address so I can be alerted when I receive payments. Its very basic. You will need to attach a checking account so if you have a business checking- I would link that one. Although, there may still be a way around linking your checking account and then opting for PayPal to send you a check in the mail if you prefer. You are quite welcome Dorothy- thanks for taking a moment to comment. Hi there. I have done some tinkering with writing as a teenager. Nothing serious now mind you, but I would love to try and become a writer myself. How can one get started? I’m not that well with English. I need to study more with the subject. Is it still possible to write? Please, do let me know. I am currently, working outside the home and would love to have that changed by working in the home. Thanks so much for the list!!! I had no idea how to get started. I have signed up with Textbrokers and written my first 5 assignments!! Many, many thanks! Love your list of passions, especially the first two. Thank you very much for this site, it’s exactly what I’ve been looking for. I’m excited to look into this list. I am a beginner and need some experience but also really need extra cash. Your website is such a great resource. Do you need a college degree for these jobs? Thanks for all the info! It has been very helpful. I have a journalism degree but haven’t written in the last 5 years, so I’m a bit rusty. I can see some of these website will help build up the confidence back up. After submitting your “test” and information to Blogmutt, how long did it take for them to get back with you? Thanks for this list! I’m getting ready to jump into freelance writing now that I’ve almost completed my degree, and it’s great to have a list from someone who has used the companies. I had already looked at a couple of these, but now I feel more confident about signing up after reading this post. Ok I am a disabled stay at home. (former Marine with severe PTSD) I write and have one full novel on the B&N Site for self publishers. doesn’t make much but it all helps. What experience do I need to have and what do I need to know and do to get this kind of work? I can write. I just want to know how to start to become freelancer. If any private client requires my serfvice I can spare my times for her/his work. A list of clients will be much help to contact them to know their requrement. Thanks.. Thanks for sharing the list Miranda for freelance writer beginner.You can also add Text-Writers in your list which is also a good place to get started as a freelance writer. It’s a cool list of resources that can help creative writers to earn money with their writing skills. Also, you can start your own blog if you like to earn more money working from home. I found out Blog Mutt is a scam. They suspend people without an explanation. Maybe someone here has something to add. We haven’t heard a lot of complaints but nothing is perfect for sure! Thank you for the information. Personally, I have made more money on blogmutt than any other site that I am registered with. I’ve never had a single complaint about them at all, in fact, I’ve always found them to be very helpful, especially when responding to forum messages. Stacey, I am Sunita would like to know what is blog mutt? would like to earn from home. I am in India. Can you please tell me how to use? Here we don’t have PayPal account also, so how I should use. Please, can you help me? Hope you don’t mind to spare some time. Thanks. This is absolutely true. I worked with BlogMutt for over a year, only to discover one day that my account was no longer active. They didn’t send me an email explaining their decision, nor did they reply to my inquiry. Such an astounding level of professionalism. Thankfully, there are far better companies for which to write — companies that don’t view writers as expendable. Thanks so much for compiling the great list of different types of sites offering work to online freelance writers. I can see a good article writing job site called “iWriter” not mentioned on the post. I can honestly say that I have only had positive experience with this content writing job site. I have earned a few thousand dollars from iWriter.com in just over a couple of years. There is always plenty of jobs available on the site’s dashboard. The payment is always sent to my PayPal account on time. Another source of freelance writing and blogging jobs for freelance writers could be websites or blogs in various niches. Sending pitched to webmasters of these sites could help aspiring as well as established online writers land good-paying writing gigs. I have been writing blog posts for two sites in work at home jobs and businesses niche for about two years now. I simply pitched to the owners of the sites to explore the possibilities of writing jobs with their sites and I got hired! I have been an avid reader of your blog site for some times now. I hope you continue to keep up with the good work! Thank you again for the great post! Shaheen, i am happy to hear about your experience. Hope I would be able to begin freshly as a freelancer. As i don’t know anything about it. No Paypal account also. I would like to work from India. Thanks for some great ideas. I use Upwork for VA work, and have held long term clients. I decided to switch gears and write. I grew up competing in writing contests, so this just feels like the right fit. I’m rusty, but sloughing off the rust as I go along. I admire writers like yourself who help others with articles like this. In the same way, I am writing to help freelancers who are trying to break into the VA game. Between freelance boards and job writing boards, which do you feel are most likely to hire newbie writers? Also, any advice for nailing a guest blog opportunities? Definitely stay away from BlogMutt. As other freelance writers have noted, they are quick to suspend your account without reason. I had more than $1,000 in unsold posts when they suspended my account. blessthislist.com hasn’t been updated in one year and there isn’t any place to actually upload any work. There are links to upload work but when you click on the links they lead you in circles. Thank Tom for the update, already fixed. Thanks a lot ! very conducive piece of information. I really enjoy your articles on Write at Home Adventures. I was inspired by you to find a job at home and spend more time with my family. I completed a couple of orders with different companies, but now I am writing for WriteDom. They offer the best terms and workload for freelance academic writing jobs. Maybe you will add them to your list. I hope somebody will also enjoy working with this company. This is a great article and very timely for me. I have been dabbling with writing and it seemed so difficult to start and this will definitely help me regroup. Are any of the beginner writing sites open to Canadians? I will like to start but when i repair my pc,i can start writing about business as a businessbroker,phone engineering ,electrical engineering like Coiling and house wiring,cost of living in the city etc. Great tips! Thanks for sharing it with us. I see this article was posted back in 2013, but continues to get views and comments. Was to go, will be checking other articles, too! Hi everyone I am interested in writing creative Ghost writing/Scripts and screen writing. I have been writing since about 11 years old and I am also now into poetry as well. The article really made sense, My sister recently quit her full-time job and searching for online content writing jobs,I am going to suggest this article for my sister to get some knowledge and start a job,I am sure this will be useful for most of the newbies, keep doing this great work, keep sharing. These lists are amazing! So much information in so small of a space. And your reviews of each category is helpful. Thank you. I’m a mom of two a part time preschool teacher and I need to make up for a second income to help my husband. Since I love to write and I write a Newsletter for my classroom I figured free lance writer would be a WONDERFUL second job 😍 I chuckled that you are ALSO a preschool teaxher AND have a passion for English like I do. Thank you so much for your information! Instagram individuals, like Twitter users, might typically label the pictures they publish. One suggestion to promote your company would certainly include competitions where individuals can tag a themed picture as toing by your contest regulations. Not only have you branded yourself on the network, yet you provide the possibility to go viral as followers of participants detect the tag and the feed. This site is just what I was looking for with great beginners advice. However I am not based in the US hence finding a site of non US based writers is quite the challenge. Please help me out if you know of a site that can help me out. I am a student from Kenya. As of 2018 the major social media sites are in decline, primarily due to censorship, and possibly just boredom with the platforms. If we depend on social media for our writing careers, I guess we are ALL in trouble! Always appreciate these kinds of things, helps find new opportunities. I agree with AMY’s perspective on this. I am a freelance writer from Baltimore. Everything is done by email, Skype and PayPal these days. It making location irrelevant in terms of getting jobs. Baltimore works to your advantage in terms of pitching freelance stories. It gives enthusiasm all freelancers. Everybody can send clips and pitches to editors regardless of your location. The additional advantage of my writing skills is my work with https://writingcreek.com/get-started-freelance-writing/ (7 years). I perfect learnt freelance writing job there. The “Wahadventures” website posts daily leads for writers and freelancers, it’s so curious and useful. Hello. A long time ago I wrote short blog posts on mturk for $1 apiece and some longer items for $10 but then things dried up, a search algorithm update, I think. I’ve done other work at home jobs like transcription but would like to get back into writing because transcription drives me up a wall. I need some quiet. I see on sites like Textbroker there are still those odd looking subjects that they want you to write about and I don’t know how to go about things like ‘herniated disc treatment cleveland oh’. I wondered if there was an article or a course to take that would help me with this, because it doesn’t look like these clients are very straightforward with what they want and I don’t want to risk getting closed out because I guessed. That’s already happened with a site that wanted product descriptions. Thank you to anyone that answers! These lists are amazing! So much information in so small of a space. And your reviews of each category is very helpful. Thank you so much. I think the best way to become a good writer is to write every single day. I`ve started my WordPress blog a year ago and in the first quarter I`ve had my first job offer! Now I`m not only a blogger but a freelance writer at Beesy.pro. The platform is simple, doesn`t charge any fees and offers its own time tracking system, so even the most unorganized writer can control self-productivity.